Let’s face it: it’s pretty darn hard to go an entire move without losing one single item. It’s just like how your washing machine always seems to eat your socks; things tend to go missing during a move. The good news is that all of this is preventable. As you may be familiar with, we are a strong believer in checklists around these parts but every checklist is unique in its own way and while we can provide the outline, you need to fill in the details that are particular to you. It also doesn’t hurt to go with the best movers in Chicago. So whether you’re using an online checklist or making your own, here are the items that anyone moving should triple check to ensure they didn’t overlook a library book or borrowed Blu-ray. Without further ado…. Whether you keep all of your receipts for taxes, have a personal office full of personal papers, or you just have your birth papers and social security card to keep track of, paper items like these are some of the most commonly lost and the most easy to lose during a move. Chances are like most people, you have different types of papers stored throughout your home and thus when packing, it can be all-too easy to throw those papers in closest boxes and forget them. The problem with that technique is the chances of you recalling the many different places you randomly stashed your different paperwork are slim to now. By doing a sweep of all the paper items in your home and organizing them in binders, you can make sure that everything stays in order during the move. It’s human nature to stow away those items we cherish most in out-of-place and hidden areas. But it’s also human nature to lose track of those items, especially if it’s been several years since you stored them away. Before you move onto the bigger items in your home or apartment, first make a list and collect your most valuable items so that they’re in one safe place that you can keep track of through the move. While the above three items might not be related in any obvious way, they rank amongst the most commonly forgotten things when moving in Chicago and elsewhere. The main reason is that these are inherently forgettable items and often stashed in impromptu areas. So make sure you do a sweep to pick up anything you don’t own that you can return prior to the move. From your kitchen to your garden to your home studio, if you own one, there are a lot of tools that can be involved with a move, which means there are sure to be some strays. So pack your tools first before you move the equipment itself to ensure you have it all covered. Finally, this might sound like a no-brainer but you’d be shocked at how often keys are cited as one of the most commonly forgotten items. While most people don’t lose the key to their new home, you might own keys for an assortment of safes and storage devices in your home that scatter easy. Take an inventory of every item that you have that requires a key and store them together for the move. Of course, each person’s living style is unique and no checklist we compile can truly capture all the unique nuances that make you you. 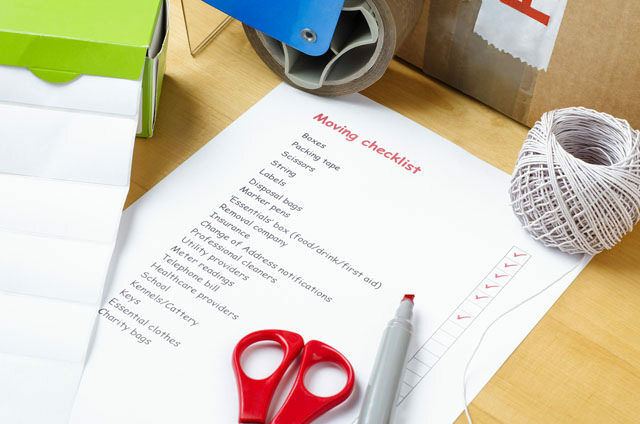 But by starting with these broad strokes and being mindful of the most commonly forgotten things during a move, you’ll be on your way to creating a moving checklist that’s nearly perfect!